Make your Christmas party activities event the best interactive function planned with Team Building Activities and Celebration Events for large corporate groups from 15-1,000 staff, available to book now. Get the best end of year functions, Sydney and Gold Coast function Venues, Staff Party Games for Social celebrations and Corporate Groups. Looking for a great way to celebrate another successful business year and reward your staff? It’s time to get get the working elves rewarded with presents. Singing Christmas Carols and Performing a Christmas Flash Mob on the Streets of Sydney with all your staff being taught the dance moves! Lip Sync Battles – All I want for …. Corporate Carnivals with Christmas Party Games, Archery, Bubble Soccer. Good ole outdoor BBQ fully catered with matching wines, beers and craft ciders. Axe Throwing – if all else fails this is the one to get your blood flowing! Thrill has brilliant fun interactive solutions and ideas for your colleagues to enjoy. Playing our signature Thrill activities, games and entertainment is Suitable for small groups from 15 staff 1,500 employees as a grand end of year celebration event. Thrill Custom Builds exciting events to make your Christmas experience fun. 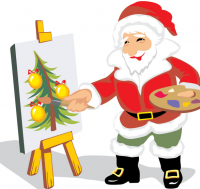 Themed with Santa, Elves and Christmas decorations. From exciting business celebration Amazing Races in Sydney, and Melbourne. To the Gold Coast, Surfers Paradise and Brisbane with cool events. Play in The Rocks, Sydney with fun Treasure Hunts, Mini Olympics Games and Beach Games at Manly, Coogee or Bondi Beaches. Enjoy Building Bikes, Trikes, Green Machines and Toys for Children’s Charities this Christmas. Give the gift of giving with thrilling charity events. Or share together with a Master Chef Cooking extravaganza. Sizzling BBQ’s, delicious Christmas Recipes to Fiery Flambes and cool Cocktail Making people happy experiences. For the adventurous this Christmas. The range of activities include the come back of Survivor, Canyoning and High Ropes Course Zip Lining through the Tree Tops. 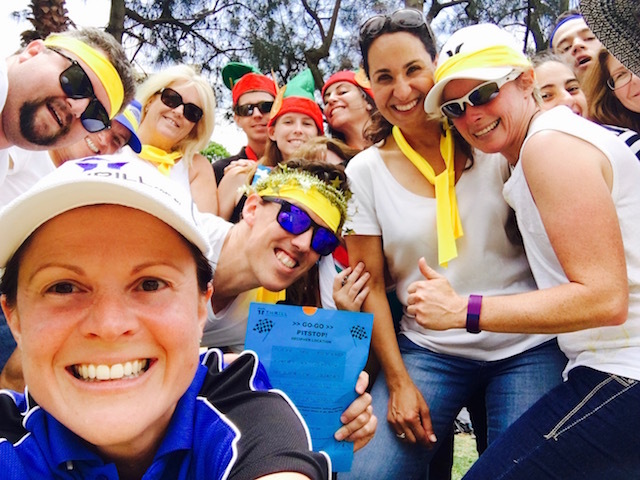 Contact Thrill team events in Sydney or Gold Coast for 20 more Christmas team Building Activities that will have your team jumping for joy!! Our promise is to never give boring Team Building Activities. To Package up the best fun corporate events with Catering and Drinks for your end of Year party that we can muster! Konrad Lippmann, Brendan Morris and Michelle Chapman are Conference and Events Managers of THRILL events. 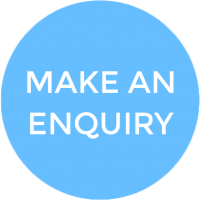 Providing premium delivery of corporate events services, team building and corporate training programs throughout Australia and New Zealand. Thrill Christmas Events work with you, planning, coordinating and organising your work Christmas party. 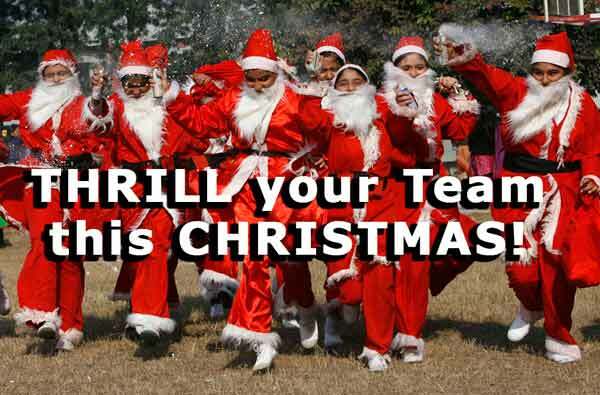 Contact Thrillers now to arrange and book great Christmas party ideas for your team and workplace celebration.